In all cases, the proportion of Earth's equivalent measurement is 0.273. If these figures are accurate, why aren't these numbers (0.273) different from each other at this scale? Obviously, if measured to enough decimal places, differences will appear. The Moon has less gravity and rotates at a different speed from the Earth. Why don't these cause variability in the different radius measurements? Do they cancel out? It is a coincidence? 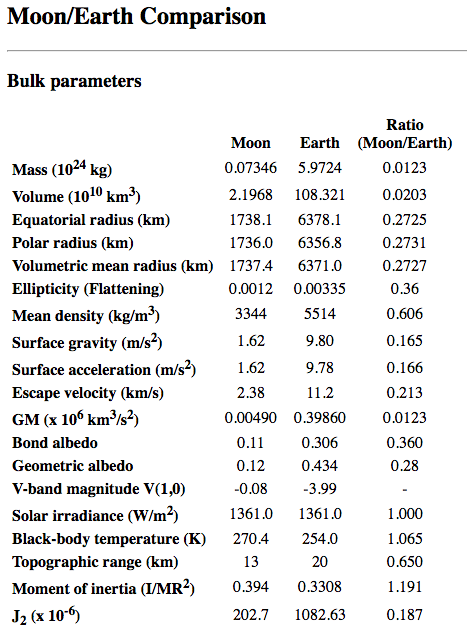 Is there something about the Earth-Moon dynamics that means over millions of years these proportions gradually equalise? It isn't, as soon as you look one more digit further. What would happen if Jupiter and Earth were at the same distance as the Moon is from Earth?